Numedalslågen, often referred to as Lågen, is among Norway’s longest rivers. From its sources on the mountain plateau of Hardangervidda, the Lågen runs more than 350 kilometers in a Southern/Southeastern direction, until the river ends its journey in the Larvik Fjord. 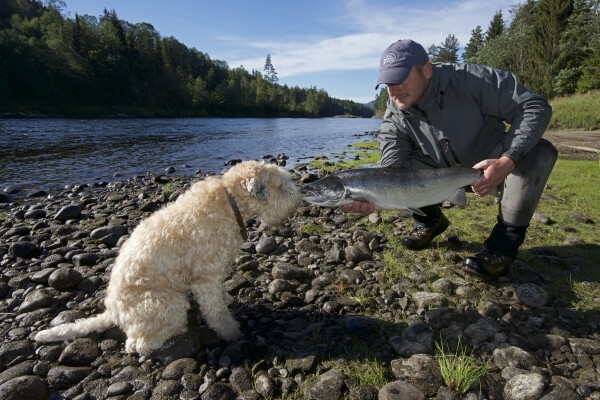 Salmon, however, only run approximately 70 kilometers, from the mouth of the river to the village of Hvittingfoss where they are stopped by a massive waterfall and a hydro. In the municipality of Lardal, where I grew up, anglers in pursuit of a Lågen salmon have several options. 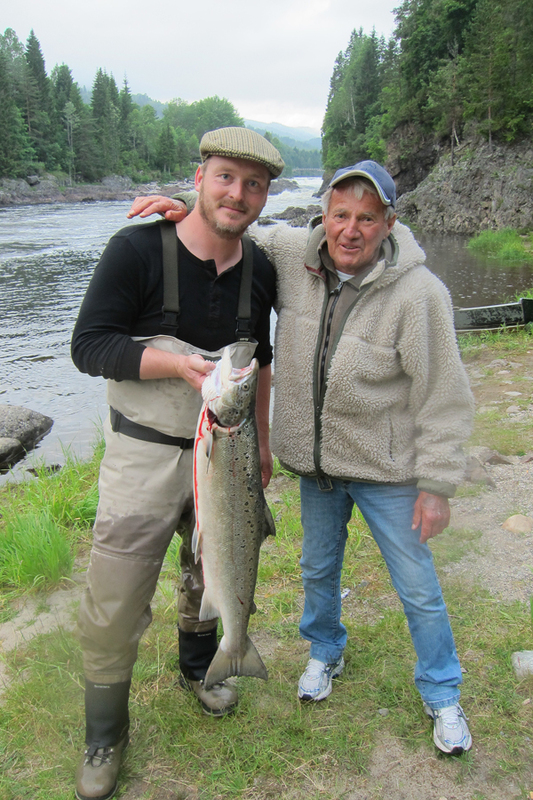 The Brufoss Fishery offers a wide range of pools. Some are restricted to flyfishing only and have a limited number of anglers allowed (red and yellow zones). Other beats are open for all methods of fishing and with no maximum of fishermen allowed (blue zone). Waterproof AS offers fishing in fine pools like Rien and Grinievja, while the Stubben Pool – once a favourite among 19th Century British anglers – is available through an online booking system. Please scroll down for links. Do not forget to buy the National Fishing License, required for anyone who is fishing for salmon and/or sea trout in Norway. Bring it with you at all times, as controls are being done on a regular basis. What I can offer, is a either organizing a trip based on your specificaions or a guiding service when you have arrived. Local knowledge always increases your chances of catching a fish, and I will be happy to assist for whatever period of time you may require. Normally I would suggest we meet on a convenient location, such as your accommodation or in the village of Svarstad. 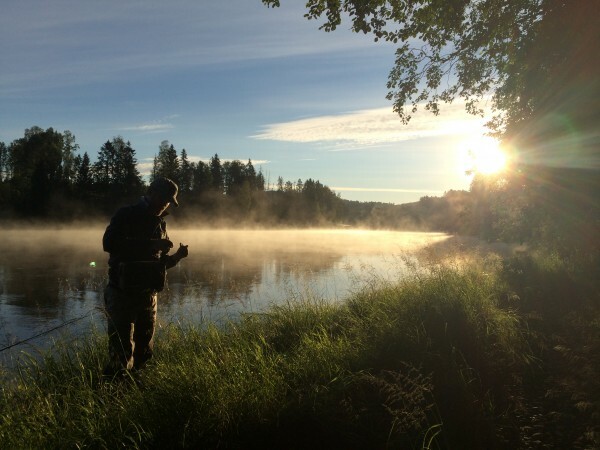 Then I’ll take you to your Lågen beat, show you the hotspots, talk tactics and flies/lures – and then you’re off. Lågen is a rather late river, in terms of salmon runs. The river opens in June, but July and August are traditionally the best months. The river usually closes in late August, but depending on the salmon runs, the season may be extended into September. 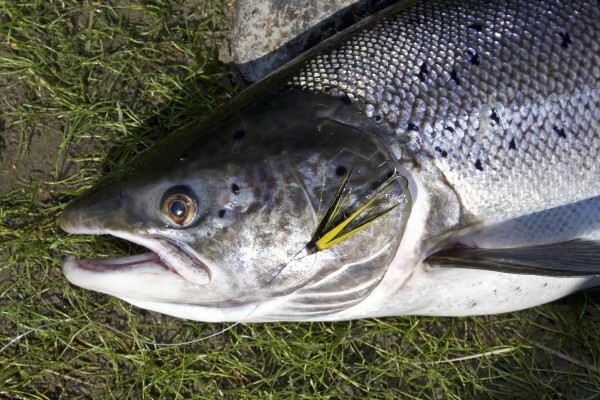 Anglers are restricted to a 2 fish/day limit (from 12 pm to 12 pm), meaning that after having landed fish no. 2, fishing must commence until midnight. Further down, from Holmfoss and downstream to Larvik, they start fishing on May 15. In 2017, 26,5 tons of salmon (over 5700 fish) were caught. Please note that approximately 8 tons were caught in traditional traps. In 2016, 22 tons of salmon were caught, respectively 7 tons in traps, and in 2015, 16,6 tons of salmon were caught, 5,5 tons in traps. Waterproof: www.waterproof.as (post@waterproof.as) Please note that if fishing the Waterproof beats, you should also book guide through Waterproof. Stubben: www.isystem.no/fiskekort/ Fishing at Brufoss and the Waterpoof beat of Rien can also be booked here. National Fishing Licence available online here.